Two months after signing a non-funded Space Act Agreement (SAA) with NASA, Bigelow Aerospace has made great progress toward identifying new ideas for private-public partnerships for human space exploration of the solar system, with discussions complementing NASA’s near- and long-term exploration goals with the private sector’s burgeoning development of exploration facilities for Earth orbit and beyond. Coming just a few months after the announcement that Bigelow’s inflatable spacehab technology will finally see full-up, in-space testing aboard the International Space Station beginning in 2015, the newly-announced SAA between NASA and Bigelow Aerospace signals not only a growing partnership between the agency and the commercial sector, but also a potential look into how NASA’s vision of Beyond Earth Orbit (BEO) exploration might evolve based on outside industry input. As discussed at the recent NASA-Bigelow Aerospace teleconference, NASA’s William Gerstenmaier, Associate Administrator for Human Exploration and Operations Mission Directorate, stated that the purpose of this SAA is to survey the aerospace industry to determine where their exploration interests lie. “For us in NASA, we typically do a lot of design reference mission analysis. We do a lot of concept work. We do a lot of things, and then we typically ask industry how they can participate or be part of that activity. “We thought that this time, instead of doing it the typical way, we would kind of turn that around a little bit. We would ask the industry first through this Space Act Agreement what they are interested in; (where) they see interest in doing exploration throughout the solar system; where they see human presence that makes sense; where they see potential commercial markets. Under the terms of the agreement, Gate 1 consists of Bigelow identifying assets that demonstrate the value of new NASA – and private sector-supported capabilities. This part of the two-gate approach will see Bigelow Aerospace identify four key areas: Which companies would be capable of making contributions; What contributions could those companies make; What conditions would be necessary in order to generate the identified contributions; and when could the contributions be made. Following the Gate 1 phase of the SAA, Gate 2 will consist of identifying and establishing mission proposals based on the companies’ stated contributions identified in Gate 1 and those companies’ stated mission and exploration interests. In essence, the two-stage SAA first identifies interested parties and what they can realistically produce and then determines viable mission and exploration goals based on those tangible capabilities. 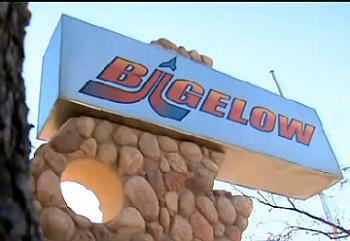 The timeframe in which Bigelow Aerospace has to produce the Gates 1 and 2 reports is fairly short. The final Gate 1 report must be completed within 100 days from the signing of the SAA on 27 March 2013. Under this timeframe, the final Gate 1 report must be submitted by 5 July 2013. Likewise, the Gate 2 report must be submitted within 120 days of the completion of the Gate 1 report. Assuming a 5 July 2013 completion date of the Gate 1 report, the Gate 2 report must be submitted no later than 2 November 2013. The final Gate 1 and Gate 2 reports will be released to the general public by NASA upon their completion. To this end, while the final Gate 1 report is not officially due to NASA until early July, Robert T. Bigelow, president and founder of Bigelow Aerospace, handed a draft of the Gate 1 report to Gerstenmaier at the May 23rd teleconference, over 40 days before the final report’s due date. Summarizing some of the preliminary report’s content, Bigelow stated that Gate 1 contains everything from an examination of past spaceflight accomplishments to future operations in Low Earth Orbit (LEO) to Lagrangian Point missions to cis-lunar (the region outside Earth’s atmosphere extending out to just beyond the Moon’s orbit) missions. According Bigelow, the Gate 1 report identifies how “the commercial sector (can) expand on what has already been done and drive out of that benefits for NASA. 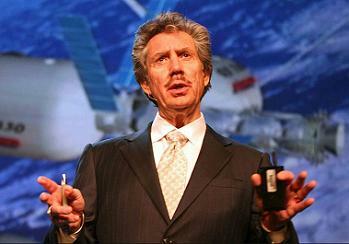 Bigelow went on to say that his company attempted to not set boundaries during the Gate 1 process, looking instead to give NASA an as-complete-as-possible presentation of what the space agency can utilize from the private sector, in a manner that makes sense to it, based on the resources and finances available to it from the U.S. federal government. In all, roughly 20 companies participated in Gate 1, including well-known companies SpaceX, Boeing, SNC (Sierra Nevada Corporation), and Orbitech Technologies Corporation. Lagrangian Point (specifically, L2) and other cis-lunar missions were discussed and focused upon by various companies. “Taking somebody to the general vicinity of the moon without actually landing them is still a big deal. 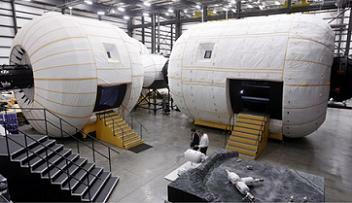 In making this point, Bigelow identified his company’s own BA-330 inflatable spacehab modules. 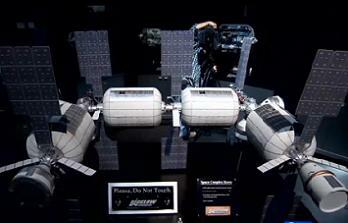 “In our case, with the BA-330, there is no investment by NASA in that architecture and that spacecraft. 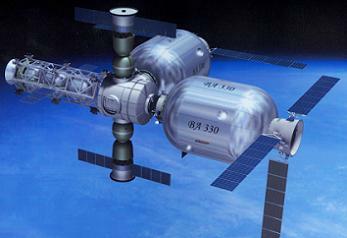 And use Bigelow’s next generation space station is just what NASA might have to do come 2028. Relating the idea for his company’s Alpha Station, Bigelow stated that “The easiest mission and the least expensive for NASA (in the next 10 years) by far is essentially (to use) the (Alpha Station) configuration in Low Earth Orbit. 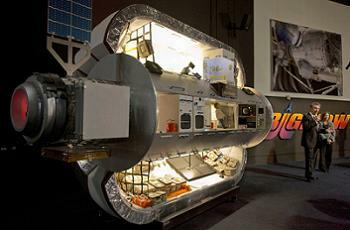 You have 660 cubic meters of (pressurized volume) which is over half of what the ISS has. 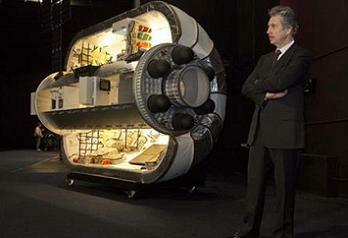 Under this proposed mission, Bigelow would have two of their BA-330 inflatable modules launched into LEO – the first of which could be ready by the end of 2016. After the first module is launched, ground control teams would determine the health of the spacecraft to determine that everything is functioning as intended. After that, a crew of two people would be launched on a taxi mission to stockpile supplies in the first inflatable module, thus preparing the newly minted space station for the arrival and docking of the second inflatable module. But Bigelow explained that that’s “after years and years of testing every kind of thing (we could) possibly imagine through long duration tests, thermal tests, moment tests. Everything you can think of, we have already done. “Terrestrially, we can get to a significant level of confidence; maybe 90 percent confidence terrestrially without flying. The two Genesis missions (begun in 2006 and 2007) helped us gain, through flight, further knowledge and experience. But that last 10 percent is actually only really acquired through the actual execution of the flight. In particular, while Mr. Bigelow’s comments were meant to highlight what his company has achieved and strives to achieve, the concept of commercial space station is something that could prove vital to NASA as it moves forward. 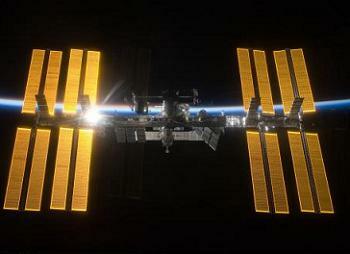 The engineering marvel that it is, the fact is that the International Space Station will not last forever. 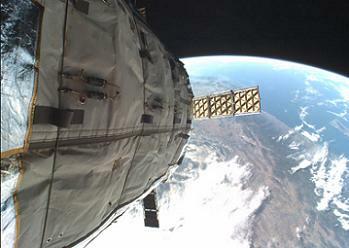 While most analyses concur that ISS will last until at least 2028 (from a structure standpoint, funding from the partner-nations notwithstanding), the time will come when NASA, ESA (European Space Agency), JAXA (Japan Aerospace eXploration Agency), CSA (Canadian Space Agency), and RSA (Russian Federal Space Agency) will have to look for other avenues for continuous space experimentation. Tying his comments back to the SAA with Bigelow, Gerstenmaier said that “Station is a platform where people can experiment to see what makes sense to them, where (there) is a market, where (there) is a unique aspect that gives a company a competitive advantage over a company that is only doing terrestrial research. 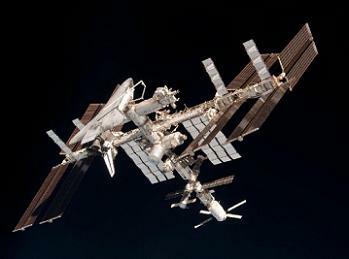 Gerstenmaier also explained that NASA could decide to purchase services from a commercial habitat provider both before and after the ISS is deorbited. Specifically referencing on-going research on microgravity’s influence on the human body, Gerstenmaier stated, “When astronauts go distances as far as Mars, they will be exposed to a microgravity environment for maybe one year transit one way, a year transit back. So we are going to have to understand how the human body actually can be kept healthy during that long period. In discussing this inevitable transition, Gerstenmaier added that he believes there should be overlap with Station and commercial habitat development and implementation. 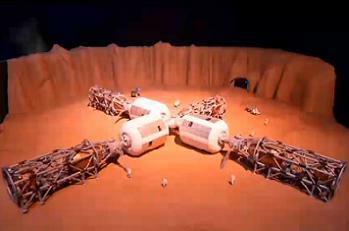 But LEO space station habitats was not the only primary area of interest identified by the preliminary Gate 1 report. 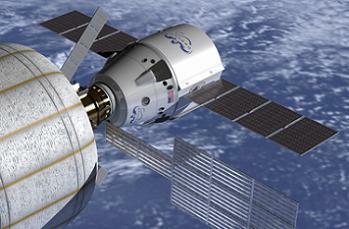 The moon and cis-lunar missions also received attention from the 20 companies participating in the collaboration. 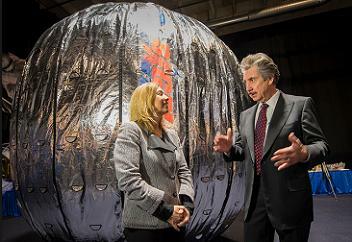 Bigelow explained that his company’s BA-330 module could be adapted for the moon quite easily, due to its design for microgravity and harsh thermal and debris environment of LEO. 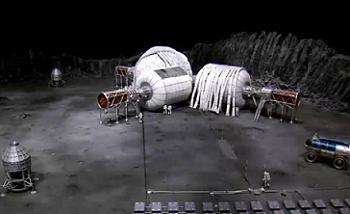 The interior of the BA-330 modules could also be modified to include a floor of netting (using Velcro anchors) to provide crew with a safe translation surface to various parts of the module. 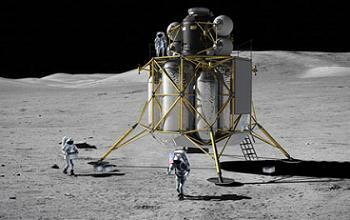 Bigelow stated that the current plan is to have all contracts completed in time to begin testing the scaled lunar module in January or February 2014. Once those initial tests are complete, Bigelow stated that his company “will continue to do an extensive series of tests here on Earth, and migrate up to maybe a full-scale system where we have to allow for the 1g difference. While other companies participating (and not participating) in the SAA are not focusing the brunt of their attention on lunar options, Bigelow points out that “all the assets that we are talking about here are all the kind of assets that you need to go to L2, to go to cis-lunar orbit, or to execute missions to the surface of the Moon or even on to Mars. And the fact that this SAA is not an “either, or” situation could prove useful for NASA given Administrator Bolden’s recent comments that lunar exploration was essentially off the table. However, Gerstenmaier went on to say that just because NASA has no plans to return to the moon does not mean that commercial companies should not consider lunar exploration initiatives. 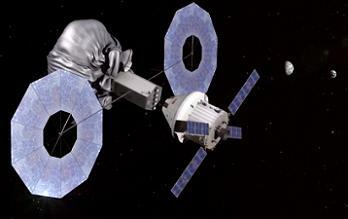 “NASA and the government, we (will) focus on maybe deep space, we (will) focus on asteroids. The private sector picks up the lunar activity and then we will combine and share with them to see what makes sense: transportation to the same region is common between us, other aspects, life support are common between us. And thus is the crux of this SAA with Bigelow: What makes sense. And not just for NASA, but for the myriad of commercial entities that desire better or more access to space. “What we are trying to look at here is not focused silos and pieces, but to look at this as a holistic activity of where there is a public-private partnership moving forward,” stated Gerstenmaier. (Images: via KLAS-TV Las Vegas, NASA, Bigelow Aerospace, AP and L2). (Click here: http://www.nasaspaceflight.com/l2/ – to view how you can support NSF’s running costs and access thousands of gbs of content available on no other site).